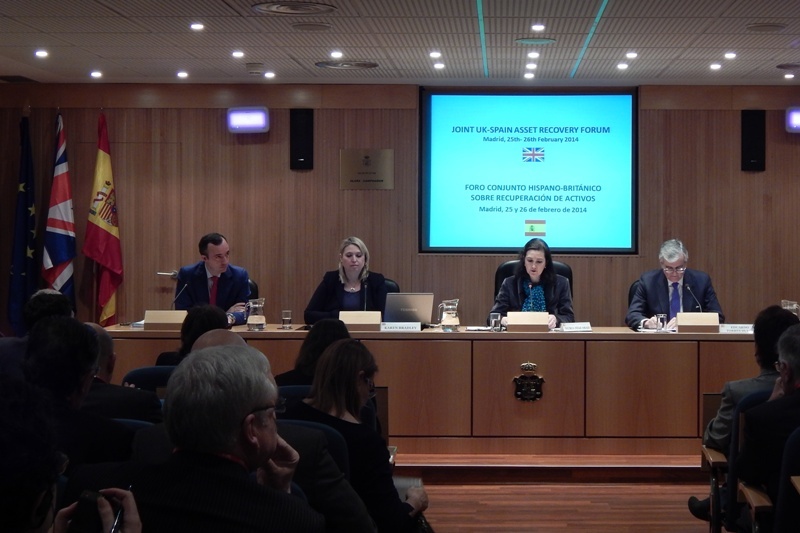 British and Spanish experts met in Madrid from 24th to 26th February to address the issue of asset recovery and to deepen the knowledge of each country´s legal framework, with a view to improving performance in this area. Asset recovery is crucial for successfully tackling organised crime by ensuring criminals are deprived of their ill-gotten gains. Building on the excellent cooperation that exists between Spain and the UK, participants presented on investigative techniques and the solutions that each legal system offers to ensure that criminals are not only brought to justice but also deprived of the proceeds of their crimes, thus preventing both countries from being perceived by criminals as safe havens for criminal assets. Nigel was found together with his mother and his three other brothers in a garden. 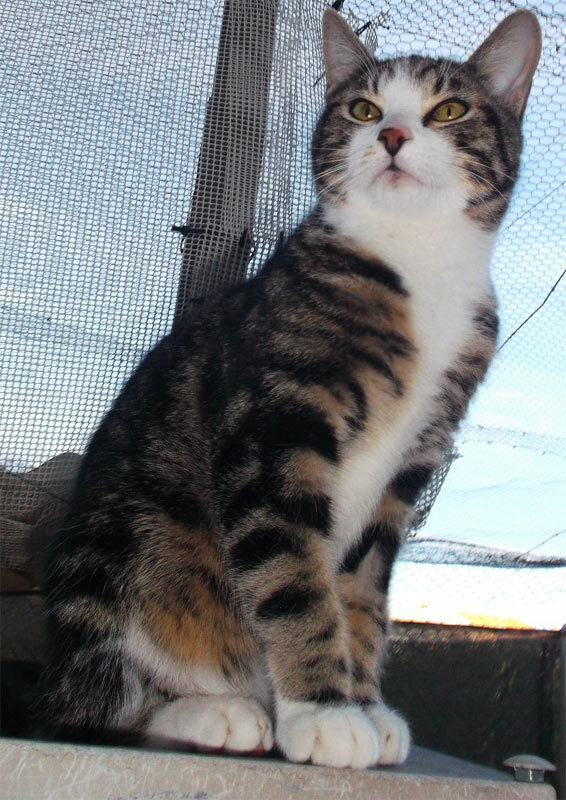 He is a beautiful, strong and playful boy, very lively and always looking for affection. He loves to be cuddled and is seeking a new home to call is own. If you want to adopt Nigel or any of our other cats, the shelter is open every Sunday 10AM - 12PM or please call Luisa for an appointment 648100 629. 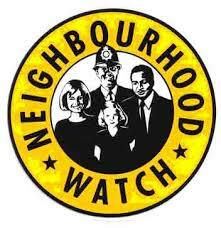 Burglary: I have to report that a house in Call Pic del Montasia has been burgled twice recently. The house is a holiday home and only checked weekly by cleaners. It does not have an alarm.The burglars gained entry by forcing off a reja then breaking the window. They stole some audio equipment and a laptop. They returned after the window had been fixed but not the reja and entered the same way. This time they stole a very large TV. In an area where many houses are used as holiday homes and vacant for long periods we need to look out for our neighbours as well. Today Tuesday 4th of March 2014, we played a Singles Stableford Competition at Oliva Nova, and there were 48 players. We were delighted to have four guests to Pego Golf Society today, namely Simon Fox, Robert Jenkins, Brian Barden, and Terry Leonard. This morning, the wind was howling at more than 30 km per hour, with gusts in excess of 40 km per hour, so many of the holes were inaccessible in the normal number of shots, and we see this, as we look at the overall scores. speaker for the month is Catherine Belsey, a local chiropractor. All British residents living in Spain must now make their passport applications online at www.gov.uk/overseas-passports. WE HAVE NEW KITTENS! - Many new, lovely kittens have reached our shelter again. 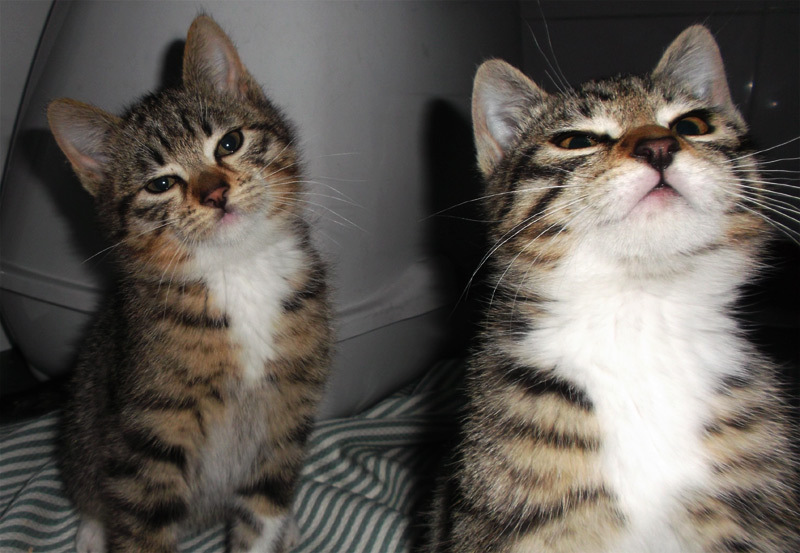 Like these two handsome tabby boys Gunter and Greg. Though currently having their health checks, many are ready for adoption now. They're looking forward to your visit and to find a human friend. Shelter open every Sunday 10AM - 12PM or please call Luisa for an appointment 648 100 629. British residents without access to state healthcare in Spain now have the opportunity to join the new Spanish health insurance scheme. The Valencia Government has just introduced the Convenio Especial, a scheme that is part of wide-ranging reforms to the health system announced last year. 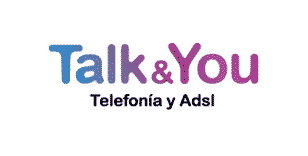 Martyn Standing, from the healthcare team at the British Consulate in Alicante, said: "This is great news. It means almost everyone who currently lacks the right to state healthcare can now get themselves covered. "We would urge people who are in need of health cover to sign-up. Waiting until you're ill before you sort out access to a doctor can easily result in an unwelcome bill." Spain has topped the list of countries for benefit fraud abroad committed against UK taxpayers, new figures reveal. More than 750 cases were investigated in Spain last year by the Department for Work and Pensions. British expats living around the world now have the option to support the UK economy from afar, and have British produce delivered to their doorsteps. In the last few years online supermarkets have begun offering expats a home delivery service for their favourite foods from the UK, but up until the last year this has generally been restricted to ambient products such as Bisto Gravy and Marmite. On Friday 6th December Alan Lewis from El Cid Auctions presented a cheque for 1,000.00 Euros to Gordon Clifford, President of the U3A Dénia. Alan had kindly held an auction the week before on behalf of the U3A Dénia to raise money for their ‘Good Cause’ – the children’s care home in Las Rotas, Dénia to purchase Christmas presents for each of the 22 children who live at the home. Donations for the sale were received from the very generous members of the U3A Dénia which enabled us to raise such a brilliant amount of money. Many thanks to all the members who donated and also to Alan from El Cid Auctions. The children will all enjoy a very happy Christmas thanks to your generosity. From December 13 to 15, Peñíscola will host one of the most anticipated descents in the country: the Mandarina Urban Down, a downhill race through the historical quarter of Peñíscola from the castle. Come and see the dizzying descents and spectacular BMX Dirt Bike jumps! The papal city and its stone-paved floors host over 200 participants for the challenge held between December 13 and 15. This timed lap starts at the heart of the castle of the Papa Luna, going down the intricate streets through the citadel by the sea, ending at the isthmus of the Peninsula, next to the fishing harbour. La Nucia weekly craft fair to stop.